Allergy season is upon us. With it comes all the joy we associate with the overload of pollen: runny noses, itchy eyes, congestion, asthma, etc. Thank goodness spring is a prized time of year where I live because otherwise, I’m not sure how we’d tolerate this allergy season. I think most of us are so caught up in all the goodness spring brings to be caught up in complaining too much about our allergies. The snow melts away, grass and flowers begin to grow, the temperature creeps up slowly and the warmth of the sun envelops us. Ha! Who am I kidding?! I still complain about wanting to quite literally rip my nose off my face thanks to all this pollen. But honestly, I do still adore spring. Really, I do. 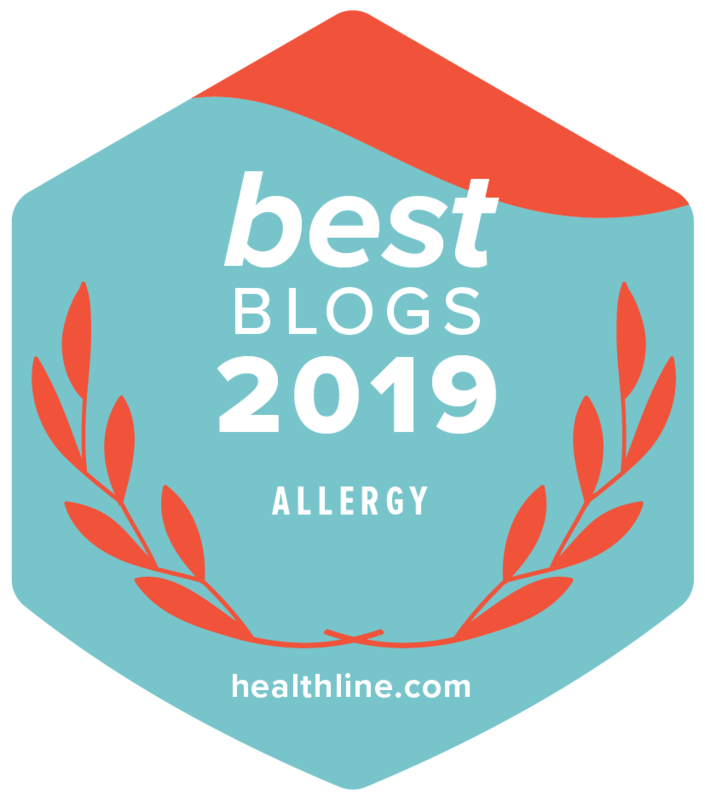 Thankfully there are a slue of very effective natural remedies for allergies that are easily available to help us get through this time of year. We’ve had some great success with homeopathy for everything from eczema to ear infections, which you can read more about here. Sadly, my favorite natural remedy for allergies, Allergex, is no longer available anywhere online. But here are some other homeopathic remedies for allergies with good results that you can try. A Vogel makes a lot of wonderful products and their Pollinosan is no exception. For kids, checkout Children’s Sabadil, homeopathic tablets by Boiron that are prepared in the correct dosage for children. Nettle is a natural remedy for allergies. Sure, nettle tea will provide some relief, but to see better results, try a more concentrated version like these capsules by Nature’s Way. I don’t have any personal experience with Rootology Breathe Free, but I really like the ingredients and the reviews are outstanding. It may be worth trying some for herbal allergy relief. Neti pots are fabulous at cleaning out the sinuses and rinsing away pollen residue and relieving congestion and other allergy symptoms, making them great natural remedies for allergies. You can use a traditional neti pot like this one by Ancient Secrets or try more of a squirt bottle approach. Just ALWAYS use distilled water or boiled tap water with any sort of nasal rinse, NEVER use just plain tap water. Does the thought of trying a neti pot paralyze you with fear or just makes you squeamish? Check out this great, easy to follow video on how to use a neti pot. Here is the Himalayan salt used in the video. We use an Austin Air and love it! Anytime my son has an asthma flare up or when allergy season hits, we run the unit in his room 24/7. It’s a bit loud, but I find the white noise can be soothing for my son and blocks out any background noise he’d otherwise hear. Obviously, during peak allergy season, the less time spent outside, the better. But if the outdoors are unavoidable, then try these tips for minimizing allergies. Change clothing when coming indoors – shake them off outside or toss them in the washer. Take off your shoes inside the home – leave them outside if possible, especially for shoes made of fabric rather than leather. Shower off and wash your hair or wipe it down with a wet cloth. I love animals, but if you have a pet that spends time outdoors, there isn’t much you can do – they will bring in pollen, just as you will. You can try wiping them down thoroughly once they come in, which will help to some degree. Just don’t let them in your bedroom if you can avoid it during allergy season. Try applying a balm or ointment frequently around your nostrils. This can help form a barrier that will trap pollen and prevent much of it from entering your sinuses and an added bonus – it will keep your nostrils from chaffing due to all the extra nose blowing. They make ointments specifically for this, but there isn’t anything unique or special about them. Instead I would suggest the Organic Manuka Skin Soothing Cream or this Tallow Balm. And for the allergy-prone gardener, there may be hope…. The Allergy Fighting Garden – This book is a must have for any allergy-prone gardener. It identifies which plants to avoid and which to plant in abundance to trap pollens and clean the air around your garden and home. 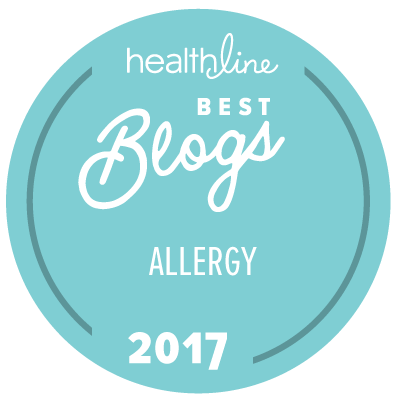 What are your favorite natural remedies for allergies? What works best for you? WOW! What an incredible resource – thank you so much for writing this. My son has a severe allergy to silver birch pollen (cross-sensitises with food) but no hayfever. When he was diagnosed in the summer I read so much stuff about purifiers and bedding…and got a little lost in it all – hard to know what is genuinely gonna help him. So your advice and recommendations are really useful. We have implemented a whole load of measures (similar to your advice) but I think if you recommend it I shall invest in the Austin Air and the garden book! 🙂 get the garden fighting the allergies too – what an awesome thought. Thank you so much for taking the time to write all that and provide the links… very much appreciated. I’m so glad you found it helpful! I find there really isn’t one thing that works alone, but a combination of things. It’s finding that right combination that works best for your son that is key. I hope you see great results like we do with the Austin Air! thanks, I have already ordered the book from amazon uk and am looking at all the different austin air purifiers – there seem to be a few – which model do you have? I believe we have the health mate. The one listed in the post. But I remember AchooAllergy telling me that pretty much all the models were the same – no real significant difference except size – Jr. vs standard models.